In today’s evolving B2B landscape, customers are expecting more personalized and frictionless experiences when engaging with B2B organizations. To create the optimized experiences customers expect on your B2B portal, you need data-driven and actionable insights that will allow you to better connect with your B2B audiences and improve your online business processes. But, how do you draw real insights from your data and identify the key actions that will maximize the business value of your B2B portal? As part of your B2B marketing practices, you no doubt collect and track a variety of data on your clients and their interactions inside your B2B portal. By applying the right B2B marketing analytics to accurately analyze and interpret the data, you gain the necessary tools to not only meet the needs of your buyers, but to exceed their expectations and deliver a truly optimized B2B customer experience. For example, by segmenting your B2B users by the profile or behavioral data you collect, you have the ability to segment your B2B audience down to individual users and deliver personalized content to your clients across all channels. What’s more, by applying B2B marketing analytics to evaluate key touch points on your B2B portal – like search functions, click through rates (CTRs) and call to actions (CTAs) on pages and customer service engagements – you can identify areas to improve the B2B customer experience and develop more profitable business relationships through optimization. 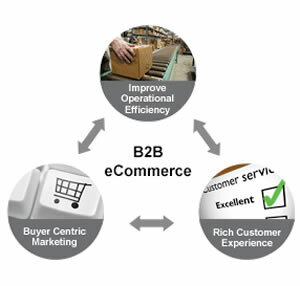 Employing the power of analytics to your critical B2B business processes, including inventory management, order fulfillment and processing of quotes, can help you draw real insight from your data into your business’s success and identify areas to improve your business processes to increase conversions and maximize opportunities on your B2B portal. Ready for digital transformation of your B2B portal? Jumpstart your efforts to explore your data to improve your customer insights and optimize your B2B customer experiences. Pereion Solutions’ new B2B digital transformation CX checklist identifies the top 6 success factors for applying B2B marketing analytics to transform your data into a valuable tool for building an optimized customer experience on your B2B portal. To learn more about how to get started with developing data-driven actions to optimize your B2B customer experiences, you can download our B2B digital transformation CX checklist by clicking below.